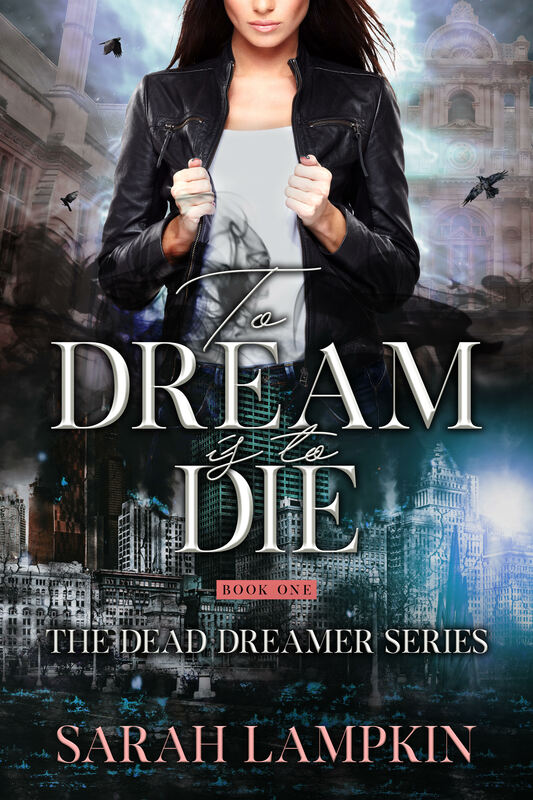 I am so excited that TO DREAM IS TO DIE by Sarah Lampkin is available now and that I get to share the news! If you haven’t yet heard about this wonderful book by Author Sarah Lampkin, be sure to check out all the details below. 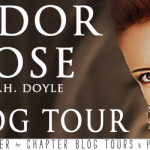 This blitz also includes a giveaway for a $10 Amazon Gift Card, Book Charm Necklace, Hoodie & signed paperback, US Only, courtesy of Sarah and Rockstar Book Tours. So if you’d like a chance to win, enter in the Rafflecopter at the bottom of this post. THE ACCIDENT HAPPENED three years ago and afterwards… life was never the same. In school I had been a social butterfly; now I was a social outcast. A few people still made an effort to talk to me, but most stayed away. They knew better; they knew something had changed the day I died. Everyone could feel it—and it frightened them. I couldn’t blame them. It scared me too. The day I died was the day I stopped dreaming. Everything seemed to bother me before: social dramas, dating, my sister stealing my books, but it didn’t matter as much anymore. The day I died was the day I started to live with the dead. I like to think I was a modern-day zombie with some vampire qualities. During the day, I was your typical human girl: average height, average looks, chestnut hair, and brown eyes. The girl next door on every street. Average, yet seeping with sarcasm. A personality trait my mother did not enjoy. Then at night, I would sleep and wake to find myself somewhere else—on the spiritual plane, or the Fade, whatever it was called – walking amongst the dead. And just like the living, the spirits ignored me as well. An oddity to be feared and pushed aside on any plane of existence. I guess people are all the same, no matter what plane of existence, no matter the time, and no matter the day. And today was the “first day of the rest of my life,” the day I move into college. Yes, I sensed the irony. It might have even been the fresh start I was hoping for, as long as my sarcasm didn’t rear its ugly head. Chances were slim. If I were lucky, my roommate wouldn’t be crazy, or notice just how nuts I was. 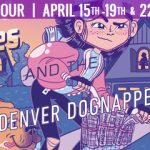 “It’s not like I chose to live on the fourth floor of the dorm—and we could have taken the elevator, you know…” I blew my shaggy side-swept bangs out of my eyes as I hoisted a heavy box onto my shoulder; I should have taken mom up on that haircut…. “And wait for 30 minutes each trip? No thank you. Your mother is going to be enough of a basket case as it is. Helen! The door, please?” he yelled. My mom quickly opened the door revealing a room—my room—already crammed with junk. Luckily for us, my roommate hadn’t arrived yet, so stuffing the room with boxes wasn’t that big of a deal. Since that was the last of everything in the car, I began the long process of unpacking and staked out the bed on the right-hand side of the room. First come, first serve, right? A little over an hour later – with my parents’ help – all of my clothes were put away and my TV was hooked up. When Dad let out a telltale sigh, I knew he was ready to leave. “Mom, you and dad head on home, I can finish all of this.” I told them. “I’ll be fine, Mom, besides, you’re only two hours away,” I reassured her. “Famous last words, hon.” Mom flashed me a smile and rolled her eyes in an attempt to hide the emotions so plainly written across her face. I rolled my eyes and opened my mouth to remind Dad that he knew me better than that, but before I could, a short and very tan girl walked in. “Are you Brenna?” She asked as she pulled her sunglasses off. “Yeah, I guess you’re Erica?” I understood right away we wouldn’t be spending that much time together. She was dressed in what one might call conspicuously top label clothing and had that “California air” about her. The black, tightly curled hair and spray-tanned skin sealed the deal. She smacked her glossy pink lips together and surveyed the room with excitement in her baby blue eyes. “Oh my God, how exciting is this? I’ve finally met my roommate and I finally get to move out of my house! Yes! Yes, I am Erica Belmont!” She bounced up and down at the end of her proclamation. My dad’s eyebrows climbed further into his hairline than I thought was possible. As if on cue, a tall blonde woman walked in behind her. “Erica, you are far too loud. 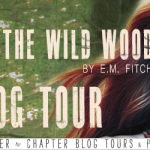 I could hear you all the way down the hall.” Erica just rolled her eyes and bounced out of the room. While my mother chatted with the woman—who introduced herself as Erica’s mother—my dad and I exchanged looks. His eyes, wide with exasperation, spoke more volumes than the textbooks piled up beside the bed. This year was going to be interesting. After a few minutes of eavesdropping on their conversation, I learned that Erica was, unsurprisingly, easily excitable and, as I had already guessed, originally from California. She’d already met a lot of people on campus and knew where to go to hang out with some other kids, which excited my mom. I knew she wanted me to meet new people so that college wouldn’t be a high school repeat. Chances were low. Suddenly everyone was gone, leaving us—the two new college students—alone to get to know each other. It seemed as though Erica wanted me to know everything about her, and not the other way around. I just pretended to listen while I finished unpacking. I was pretty sure I saw her breathe only six times during her entire thirty-minute information regurgitation. I learned that when her dad and grandfather died years ago in an accident, she and her mother inherited a ton of money that allowed them to move to a larger home in California and live what Erica called a comfortable life, which probably involved Ferraris and trips to Europe every once in a while. Big surprise there. Apparently, she wanted freedom from all of that – her mom always caught her when she snuck out to the clubs back home – and here in Virginia is where she thought she could find that. She went out to clubs all the time, but she wanted to party without having to worry about getting caught. At least she had her priorities straight. I think I heard Patrick Henry rolling in his grave. While Erica had barely made a dent in her unpacking, I had gotten everything out and completely set up. My bed was made, clothes put away, desk set up, and the TV was all ready for watching with my PlayStation 3 attached. I turned the TV on low as to not seem rude to Erica, but I was tired of her chattering. I considered the possibility that she was actually a robot, programmed to keep talking until the nearest person smashed her to bits with a baseball bat. Testing my theory seemed a service to both science and mankind as a whole. But that was my cynicism talking. “Brenna! Did you hear me? I asked if you could help me and unpack a little bit!” Erica yelled, interrupting my thoughts of a Nobel Prize, finally aware that I was ignoring her by now. Damn, and I was doing so well. “Thanks. Anyway, where are you from? Is your family rich? I saw your dad hand you some money.” She asked while carefully reapplying her lip-gloss. In a swift motion, I used the scissors to rip the packing tape on the box closest to me. “I’m from Richmond—it’s about two hours away. We aren’t rich, but we are well off, I guess. I mean, I haven’t heard anything about money problems…” Glancing into the box revealed too many thongs in colors that should not have existed in the visible spectrum. I quickly shoved the box in Erica’s direction. She looked genuinely disappointed. “Oh, well that’s cool, I guess.” She didn’t seem to know what else to say, which was fine with me. Sadly, the blessed silence didn’t last long. A calamitous assault at the door was followed by a frenzy of loud and energetic girls filling the room. I really had nothing to do, and Erica knew that well. Her blue eyes hardened a touch as she closed the door behind her. Finally, the room was quiet and I was alone. I surfed through the local channels before finally giving up and deciding to go for a walk instead. Grabbing my iPhone, I locked the door and headed out of the tall brick dorm building. Even though it was already beginning to darken, there were still some freshmen moving around. I recognized a few from my summer orientation group. As I suspected, they steered clear of me. During orientation, I had tried to be pleasant, tried hard to be nice to a lot of them, attempting to at least make one friend. But something about me made them politely smile and nod before walking away. I sighed and ran my fingers through my hair before continuing my trek around campus. Leaving home was supposed to be exciting. A fresh start and all that crap—I was a freshman! I should have been excited and optimistic and completely naive. But I wasn’t—I had seen too much in the last three years to pretend to be excited about change. Change meant adjusting, it meant not fitting in with a new crowd just like the old. It didn’t matter. Soon night would come and I could ignore everything again. By the time night finally descended, my feet had already taken me around half of the campus. As I walked, a small copse of trees caught my attention. It was only a short distance from my dorm building, so I decided to explore a little before darkness overcame all, leaving nothing but the Fade. Because of the accident—what it did, and what it meant— things were… different. If anyone paid attention to me, they would have noticed some kind of odd behavior: reading a post-it note in a pitch-black room, catching a falling cup, holding a hot pan a little longer than normally possible; the sorts of everyday wonders that would normally be dismissed as cheap parlor tricks. If only it were that. Being lost among the trees, away from all the people, I wanted to feel relaxed; at ease. But there was something off about these woods. The hairs on the back of my neck were standing on end, sensing something I couldn’t see. I walked farther into the woods, attempting to find the source of the sensation. Within earshot, a group of kids laughed as they smoked whatever it was that they had. I moved on, paying them no mind. If they noticed me as well, they chose to ignore it. A silent deal. I crouched and examined the small clearing for a while. What had pulled me into the area was still unclear to me. But when I stood up, I finally felt it—there was a reason I had come to this part of the woods, and it was now very clear. What I sensed wasn’t something I could look at in my current state. I’d have to return to investigate without my body. Despite the urge to fall asleep right there in the woods, I began to make my way back to the dorm building. The group that had been smoking earlier was gone, leaving the campus practically abandoned. It was oddly quiet and I liked it—though I suspected this was a rare peace. When I returned, I stopped at the door. Putting my ear up against it, I tried to make out if Erica was back. As soon as I was sure I didn’t hear anything, I went inside and looked at what she had done. At some point she had returned, but only to change her clothes. Boxes and suitcases were thrown all over the dorm room, with pieces of clothing hanging out from everything. Some of her clothes were even resting on my bed. After I managed to navigate the minefield of Erica’s boxes and threw her clothing back to her side of the room, I jumped onto my bed. As soon as I rolled over to find the TV remote, a knock sounded on the door. “Erica, you in there?” The masculine voice made me roll my eyes. Erica had only been here one day and she already had a boy to mess around with. This was going to be a long year. I carefully jumped from my bed and made my way across the room to open the door a crack. “She’s not here.” I said briskly, hoping that would be enough to make him leave. “Nope. When I got back, she wasn’t here.” Please just leave. I could tell he was stalling for time. This was a problem that was not going away. “Why don’t you just call her?” I snarled. I knew I was being harsh, but for some reason his presence made me uncomfortable and annoyed. He shrugged, “I don’t have her number… She hasn’t given it to me yet. Come on, I’ll stay on her side and you won’t notice that I’m here. I’ll only stay for thirty minutes and if she doesn’t show up by then, I’ll leave.” He grinned in what I was sure he considered a charming manner, revealing a row of perfectly white teeth. His disheveled hair flopped into his eyes, which he quickly flicked to the side as he waited for my response. “Fine, whatever. Do what you want.” I opened the door wider and stalked back to my bed. I noticed he shut the door before going to sit on Erica’s computer chair. That made me uncomfortable. “So, who are you?” He playfully glanced at me while swiveling the chair back and forth as I attempted to go back to watching TV. He didn’t need to know anything. I knew I was being rude, but I didn’t care. He could get laid on his own time. It was pointless to just sit in the room like a lost puppy. I crossed my arms and tried to focus my attention back onto the television. “That you don’t need to know. You can stay here and wait for Erica, but I’m going to watch TV and you should too.” Rude, and definitely not the best way to make friends like my mother was hoping I would, but he had invaded my space, though it was partially my fault for letting him wait for her. Probably not the smartest thing to do. “You sure don’t play nice, do you? I’m just trying to make conversation.” He snapped in annoyance as he shifted in his chair to face me. “I don’t want to make conversation, I’m tired and I just want to watch TV.” I flicked the volume up a few more bars to prove my point. All he did was grunt back, but he finally turned his attention to the TV set. I didn’t look at him until it was time for him to leave. Erica never showed up, which was no surprise to me. When I looked over at him for the first time, he locked eyes with me for a moment and nodded before getting up to leave. After the door slammed shut behind him, I grabbed my pajamas and shower gear before making my way into the hall bathroom. After a lukewarm shower, I walked back into the room to find Erica passed out on my bed. Of course. Where else? Looking over at the clock on my desk, I noticed it was already midnight, and she reeked of alcohol and smoke. She sure as hell wouldn’t be sleeping on my bed smelling like that. I went through her boxes to find some sheets and a comforter. Feeling rushed, I made her bed, and threw a few more blankets on it just to get them off the floor. “Erica, come on. Time to move to your own bed before you puke all over mine,” I poked her until she started to move. She mumbled something I couldn’t make out and rolled over. Obviously, she was going to be difficult about it. Good thing I was strong and she was only 5’3”. I lifted her up with a bit of a struggle and heaved her onto my shoulder. As carefully as I could, I shuffled over to Erica’s side of the room and laid her onto her bed, nearly hitting the wall as she flopped down. She lifted her head and the look on her face was that of surprise. Slight recollection seemed to hit her when she realized she was in her own bed. Mumbling something, Erica shifted farther into the bed on her own, and pulled the sheets over her head. I grabbed a trashcan and put it near her head. “If you feel sick, throw up in here. It’s right beside your bed. I’m going to sleep.” I thought she tried to say thanks, but I couldn’t hear anything besides more muffled grunts. It was no surprise that she had already gone partying, according to pop culture, kids who first moved to college would start to party almost immediately. At least, that’s what I heard. Actually, all levels of college students tended to start right away. It reminded me of my early high school days when I enjoyed partying as well. The memories left a poor taste in my mouth. Lying down, I settled my body for the usual routine, the same thing I had undergone every night for the last three years. Slowly, I drifted to sleep, and then my eyes opened to stare down at my sleeping body. I felt no pain. I felt nothing. My clothes were no longer there and I stood, watching my chest rise and fall, naked. Ever since that accident years ago, this had taken the place of sleep. My body rested while my spirit left to live in the Fade. It was cool…at first, but now it was just annoying. At least I had learned how to make some sort of clothing mentally so I didn’t have to wander around the spiritual plane as naked as the day I was born. Unfortunately, the only things I could materialize were jeans and a crop top. I still needed to practice. I looked over and saw that Erica had thrown up a little bit. Thankfully, she aimed well, it must have been when I was falling asleep. I didn’t exactly have a lot of awareness in the moment between worlds—I was still working on that part. Even though everything seemed to be exactly the same, it really wasn’t. On the spiritual plane, the world was brighter, and louder. All of my senses were heightened, and the room looked as though a light had been turned on. I had seen my fair share of spirits, but most didn’t like me very much. When they figured out I was actually alive, they became angry and didn’t find it fair. Some of the nastier ones perceived my presence as a kind of trespassing. They’d attempt to become my personal poltergeist, but they always got bored of it eventually. It became an easy arrangement. Just like with the living; if you ignore me, I’ll ignore you and we can all live peacefully. Even the spirits that lived in my house back in Richmond wouldn’t talk to me, though I had been trying for a while. Thankfully, while outside of my body, I couldn’t smell anything on the physical plane. That was the one sense that seemed to dull. Which meant I couldn’t smell Erica’s vomit. So, before Erica decided to wake up again, I left. I explored the dorm building for a while, curious as to what the other students were doing. Some were partying, but they kept the music low—probably paranoid security would discover all the underage drinking—others were already asleep, reading, or playing video games. Most were socializing; not many seemed to seek solitude like I did. Finally, I floated from the building to make my way back to the woods. Coming to the clearing, I descended, and approached the large tree from earlier. Looking at it in this form, I could clearly see what had attracted me here. From what I could tell, there were three planes of existence: The mortal plane–where all living things lived–and the Fade where spirits dwelled, among other things. But the third was something I had never seen. I only knew it existed from the doors. Found mostly on trees, there were doorways to another plane of existence I had no access to. They contained beings that I only saw when I was a spirit. I called them “fairies” and “demons” because I couldn’t think of a better description. Names based off appearances, I know, but I didn’t know the actual names for what they were. Although they were undetectable by anyone on the mortal plane, there were legends about them throughout history. From those, and my own experience, I understood the doors operated on a sort of cycle. They would only open during certain nights, allowing them free reign of the Fade. But once the night was over, they would return to their realm. When it was a full moon, the demons came through the doorways. Though not the prettiest things to look at, the demons tended to enjoy messing with humans. Not necessarily hurting anyone, but just hovering around them, causing mood shifts occasionally. They would move items around, trip people up, follow them, and on occasion throw acorns at people and animals. That was their favorite mischievous activity. The demons were basically small, disfigured pranksters. There have been many studies on humanity and the effects of the full moon that make them go crazy or believe they are a werewolf or some other such nonsense. It had nothing to do with the full moon, just with the demons being allowed to escape. When the night of the full moon ended, they returned to their domain, leaving behind whatever mess they had created. During the time of first and third quarter, and new moon, the fairies were given leave to roam from their own doorways. I hated them. Unlike the demons, their energy was hostile. A few times I had seen them torture any spirit they came across, or even whisper into the ears of humans, causing them to react violently. It wasn’t often that I would run across a fairy, but I preferred it that way. Though beautiful, they were little shits. There was no doubt about this tree. It was a demon gateway. The door appeared old, as if it had been there for centuries with the worn wood and small cracks. Because the doorways were on trees, I had found a few at home, but whenever I traveled to populated areas, they became harder to find. Once I had discovered a doorway in the wood frame of a friend’s home. Fairy doors, however, were much more difficult to locate. To this day, I hadn’t seen one. I had only seen the beautiful little monsters flying around. The last full moon was a week ago, meaning the door was closed as expected. My theory was that the doorways were somehow connected, but again, I hadn’t seen a fairy door to be sure. If I were right, there should have been one somewhere nearby. But this door was different—there were small characters etched around its entirety. Something I had never seen before. The closer I got to the doorway, the stranger things became. Incoherent voices entered my head. It sounded as if they were trying to scream, but didn’t have the strength. I had never heard these voices before. They wept desperately with disjointed words and screams. I moved closer and raised my hand to touch a particularly interesting marking when a clear voice stopped me cold. Whirling around, an older woman stood behind me. Judging from her clothing, I figured she had been dead for a while. She looked kindly down at me through ethereal spectacles as she absently smoothed the folds of her long skirt. “Why not? It’s only a doorway…” I said, raising my chin, causing my hair to fall and frame my face. I was sure my eyes were snapping with defiance – I didn’t take kindly to being told what to do, especially on the spiritual plane. This was supposed to be the one place I didn’t have to listen to anyone telling me what to do. She shook her head, causing her ridiculously out of fashion hat to shift a little. “You are correct, my dear girl, but this one is different from its brothers that you have previously encountered. Watchers and Dreamers have been busy distorting these doorways. Arrogant fools.” She gestured with one elegantly gloved hand towards the script I had attempted to touch moments before. “I thought humans knew nothing about the Fade doors —and what the hell is a Watcher? Or a Dreamer?” I uncrossed my arms, curious now. These so-called Watchers or Dreamers could present great danger to me if I were discovered. Yet another complication to my situation. Great. The laugh she let out sent shivers up my spine. “Oh, you are quite the spunky one, aren’t you? If you’re going to abandon your body so carelessly, you should learn more about the world you wander through. Do not assume your limited scope of experience gives you all the answers you seek. Your lot is quite the arrogant bunch these days.” Despite her harsh tone, a smile crinkled the corners of her lips. “What predecessor? What…What are you talking about? What is going on?” She was dancing around my questions, choosing not to answer them. It was beginning to piss me off. Instead, she merely walked backwards and gradually vanished from my sight, smiling all the while. She raised one gloved hand in a wave before she was gone. “Well, that was rude. Would it really have been that hard to answer my damn questions?” I murmured to myself. This was what happened every time I spoke with a spirit. They would talk for barely a minute before walking away. I could never keep their interest for longer than that. Returning to the door, I was curious to see what these symbols—these seals—were and how they worked. They were new to me even after more than three years in the Fade. Perhaps it was only a certain kind of human that could see them. If that were true, I should have come across something about these seals in my research, but I couldn’t recall anything like them in any of it. My eyes drifted back to the symbol I had nearly touched before. Whatever the reason, this seal gave me a rotten feeling in my gut. If those demons couldn’t get out, and hadn’t been able to get out for a while, I assumed they were pissed off about being cooped up for so long. I know I would be. Looking up, the moon had moved pretty far in the sky, so I decided it was time to head back. Life would have been much easier if I were able to go wherever I wanted like the other spirits did. Since I was still connected to my body, I could only go a certain distance before feeling its pull. It looked like I wasn’t the only one who had wanted to return to the woods on this particular night. A different group of students had gathered together at the front of the woods, probably to smoke pot, barely hidden from any passing campus security. One of them turned, and walked through me, and I jolted in surprise. Sometimes it was interesting to phase through anything on the mortal plane, but crossing through humans was always more trouble than it was worth. Headaches aside, you received an uncomfortable rush, a splash of their emotions, and that was even more jarring than being a half-ghost. I followed the stranger, who was in a chipper mood, and there were a few more guys with a couple of girls in tow as well. Some were still smoking while others were just laughing in the midst of their conversation. None of them seemed to notice or feel a change in the air, which meant my body was waking up, and my spirit was fading away. The old spirit had called me a Dreamer. There was something more to what she was saying, but I still wasn’t sure what it was. As I felt myself being taken back, something stirred deep inside me. Something—or someone—was watching me. Thinking it was the same elder woman from before, my gaze searched the woods behind and the students in front of me. Sitting next to a few of the others, he was there. The guy who had barged into my room to wait for Erica. He was staring right at me and he was smiling. A native of Richmond, Virginia, Sarah Lampkin is a 2015 graduate from Lynchburg College with a master’s degree in English. 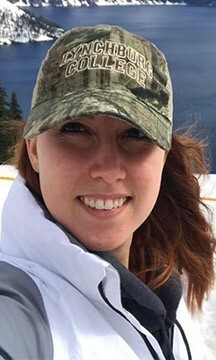 Since graduation, Sarah moved to Northern Virginia to work in the IT field as a Technical Writer while continuing her research for her graduate school thesis. When she isn’t work, Sarah continues her Celtic mythology research and Gaelic studies, while working on the Dead Dreamer series. Although she currently lives in Northern Virginia, Sarah frequently travels back home to Richmond to visit family, friends, and her godchildren. During the winter months, she is in Richmond more frequently to spend time in the woods hunting and contemplating the meaning of life. She doesn’t always succeed in both endeavors, but the music of nature is worth it for peace of mind. In her free time, she likes to play RPG video games, and rock climbing. To make sure she can make the most out of her day, she wakes up at 4am every morning to work on her fitness, so in the evening she has time to continue writing. Her passion for writing has been around since high school where she wrote her first short story. 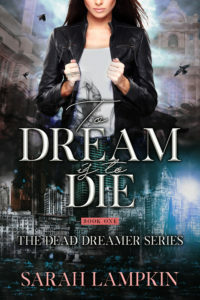 It continued as she worked towards her bachelor’s degree, and that is where the Dead Dreamer series began. Although only self- published via online, Sarah’s dream is to write for a living and continue to create fictional worlds where her mind can reside. 1 winner will receive a $10 amazon gift card to giveaway and a Dead Dreamer charm necklace, US only. 1 winner will receive a signed finished copy of TO DREAM IS TO DIE (when available) and a Dead Dreamer Hoodie, US only. The giveaway will be open until January 15th at 12:00 a.m. Eastern. Looks like a fantasitc read!!! Congrats on your new release. I enjoyed reading the excerpt and it sounds like a great read. Looks like an excellent read. Thanks for sharing. Congrats on the release – it sounds like a great read! Cover and description look great!